Bach’s Christmas Oratorio, designated by Alfred Dürr as one of the pinnacles of world musical literature, was composed for the Christmas church festival at Leipzig in 1734. This included not only Christmas Day and the two following days, but also the Feast of the Circumcision, the Sunday after New Year and the Feast of the Epiphany. Thus it spread over into the New Year of 1735. 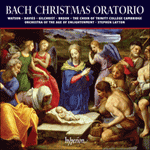 Although Bach performed the Christmas Oratorio in six separate parts, it nevertheless forms a complete and unified work. This unity is strengthened, furthermore, by Bach’s use, surely intentional, of the same melody for the first chorale in Part One as for that incorporated into the closing number of the sixth and last part. While each of the six parts of the Oratorio is in the form of a typical Leipzig church cantata of the period—that is to say, containing recitatives, arias, choruses and chorales—there are fundamental differences. One of the features that distinguished an oratorio from a cantata was the use of a narrator to relate a linked sequence of events. In this way a story could be presented progressively in a way that a cantata need not, and usually does not, follow. Bach himself used the word ‘oratorio’ in connection with this work where the Evangelist tells the story in biblical narrative, while arias, duets and trios for the soloists, choruses for the choir and chorales for the congregation to join in reflect upon the events which occur. The text is probably by Christian Friedrich Henrici, better known by his pseudonym, Picander. Picander was Bach’s collaborator at Leipzig on many occasions, but authorship in this instance remains in doubt since the text is not included in his collected poems. The six sections recount in sequence the Coming of Christ, the Nativity, the visit of the shepherds, the adoration, the circumcision, and, finally, the visit of the Wise Men, the treachery of Herod and the flight into Egypt. The words, apart from those of the chorales, are based on the Lutheran bible and both complement and illustrate the appointed Gospels for the day. The Gospels drawn upon are those of St Luke and St Matthew, and it is at least possible that Bach himself played a part in selecting the passages which he set to music. Bach’s own score of the Christmas Oratorio has come down to us and, although it does not contain his signature, the date 1734 appears at the end of all but one of the six sections. A printed text also survives which offers further information concerning the work’s performance: ‘Oratorio performed over Christmas in the two chief churches in Leipzig.’ Section One could be heard ‘Early morning at St Nicholas’ and ‘In the afternoon at St Thomas’; then on the following day the pattern was reversed, and so on. Perhaps one of the Baroque procedures hardest for us to understand nowadays is the apparent ease with which composers were able to adapt their music from a secular to a liturgical or quasi-liturgical context. The process in music is known as ‘parody’, at which both Bach and Picander were consummate masters. The two secular compositions from which Bach borrowed most frequently for the Christmas Oratorio are the cantatas Tönet, ihr Pauken! (BWV214) and Lasst uns sorgen, lasst uns wachen (BWV213), sometimes known as Herkules auf dem Scheidewege (‘Hercules at the crossroads’). Both works had been composed in the previous year (1733). Adjustments which occur between the primary and secondary settings go well beyond mere alterations to the libretto, and include changes of key, of vocal register and of instrumentation. 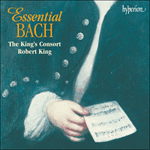 The propriety of the secondary setting is such that we cannot dismiss the idea that Bach had conceived in his mind an ultimate sacred destination for the music when working on his initial versions. Although in the busy circumstances of his own life economy of effort would almost certainly have influenced his working methods, the fact remains that, in his parodies, he reveals a deep penetration of the texts. Some commentators have shown a disinclination to regard Bach’s original versions with the same enthusiasm which they demonstrate towards the parodies; perhaps it would be fairer to assume that in Bach’s mind the music had a universal application and that, widely divergent though the sources and contexts were, they nevertheless had a common meeting ground. The opening chorus and both the arias of Part One of the Christmas Oratorio are parodies of music contained in the secular cantatas BWV214 and BWV213. The ‘da capo’ chorus in D major is generously scored for three trumpets, drums, two flutes, two oboes, strings and continuo. The next three numbers are concerned with Advent. The Evangelist’s simple recitative is followed by a contemplative one for alto with two oboes d’amore and continuo. The first of the arias, in A minor, is also for alto, accompanied by unison oboe d’amore and violin with continuo. 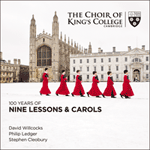 A single chorale verse with flutes, oboes and strings follows. Its melody, ‘Herzlich tut mich verlangen’, is the same as that which Bach used for the concluding chorus of the sixth and last part of the Oratorio. In the following number the Evangelist introduces the Christmas story in simple recitative. It leads to a meditative movement in G major in which the chorale melody—‘Gelobet seist du, Jesu Christ’, sung by sopranos and treated lyrically as arioso, with two oboes d’amore and continuo—alternates with passages of recitative sung by bass. The declamatory ‘da capo’ aria in D major is for bass with trumpet, flute doubling the first violins, strings and continuo. The concluding chorale is a setting of the melody ‘Vom Himmel hoch, da komm ich her’ accompanied in splendour by the three trumpets and drums, with flutes, oboes and strings strengthening the vocal strands. Part Two of the Christmas Oratorio, performed on the second day of Christmas, concerns the announcement to the shepherds of the Birth of Christ. It begins with a Sinfonia in G major whose 12/8 metre underlines the pastoral context of the cantata. It is scored for two flutes, two oboes d’amore, two oboes da caccia, strings and continuo. Albert Schweitzer plausibly interpreted the piece as a serenade by antiphonal angelic choirs (flutes and strings) and shepherds (oboes). The tripartite form of the movement, in which the instrumental groupings remain more or less constant, consists of an exposition, development and varied recapitulation. A short recitative, in which the Evangelist sets the scene, leads to a G major chorale. This is a verse of Johann Rist’s hymn ‘Ermuntre dich, mein schwacher Geist’ (1641) with its associated melody. In the following two recitatives a soprano, with string accompaniment, sings the words of the angel, and a bass with four-part oboe choir makes reference to God’s promise to Abraham. The E minor tenor aria with obbligato flute and basso continuo is a parody of an alto aria in B minor which Bach had included in a ‘dramma per musica’ (BWV214) for the birthday of Maria Josepha, Queen of Poland and Electress of Saxony in 1733. In a simple recitative the Evangelist declaims the angel’s words leading to the second chorale movement. This is a verse of Paul Gerhardt’s hymn ‘Schaut, schaut, was ist für Wunder’ (1667) set to the melody ‘Vom Himmel hoch, da komm ich her’. The four vocal strands are accompanied by full ‘colla parte’ instrumental support. A bass recitative with four-part oboe texture is a preparation, both textual and instrumental, for the celebrated alto aria ‘Schlafe, mein Liebster’. This extended ‘da capo’ slumber song in C major is accompanied by four-part oboe choir and, like the earlier aria, is a parody of one in a ‘dramma per musica’, this time an aria in B flat major for soprano and strings from BWV213, celebrating the birthday of Crown Prince Friedrich Christian of Saxony in 1733. The following simple recitative for the Evangelist is a preface to the large-scale G major chorus with full instrumental participation. Alfred Dürr has remarked that the form of this significant movement is derived from the motet in which each of its three sections is founded upon a different musical principle: ground bass, pedal and canon. The simple bass recitative leads to the concluding movement. This is a verse of another hymn by Paul Gerhardt, ‘Wir singen dir, Immanuel’ (1656), once again set to the melody ‘Vom Himmel hoch, da komm ich her’. Here, though, Bach achieves a pleasing symmetry by introducing material from the opening Sinfonia, punctuating each line of the verse and by returning to its 12/8 metre. Part Three, for the Third Day of Christmas, rounds off the first half of the Oratorio. From the anchor key of G major in Part Two the Third Part returns to the scoring and D major key of Part One, creating a distinct tripartite cohesion. The opening chorus is a parody of the concluding number of BWV214 and is scored for three trumpets, drums, two flutes, two oboes, two oboes d’amore, strings and continuo. Its proportions are comparatively modest and its structure bipartite rather than ‘da capo’. The three following sections are interlinked. A simple tenor recitative (Evangelist) leads to a short turba chorus for the shepherds with two flutes and two oboes d’amore doubling the soprano and alto strands respectively, viola doubling the tenor strand, and basso continuo. This in turn gives way to a bass recitative accompanied by two flutes. The first of three chorales in four-part texture leads to a ‘da capo’ aria (duet) in A major for soprano and bass with two oboes d’amore and continuo. The piece is a parody of an alto and tenor duet in BWV213. Its brightly coloured key, its warm woodwind textures and its dance-like character lend the piece irresistible charm. A simple tenor recitative (Evangelist) prepares the ground for the second aria of Part Three. This is in B minor and scored for alto voice accompanied by an elaborate violin solo with continuo. It is probably the only newly composed aria in the Oratorio and one over which, judging by its many corrections, Bach took great pains. A short alto recitative with flutes and continuo precedes the second chorale of Part Three. A simple recitative (Evangelist) provides a brief link between the second and third chorales following which a reprise of the opening chorus, identically scored, concludes the Third Part. Part Four of the Christmas Oratorio was written for performance on New Year’s Day, and the Feast of the Circumcision of Christ. This cantata is framed by choral movements in F major. The opening ‘da capo’ chorus, a parody of the initial chorus of BWV213, features two horns, two oboes, strings and continuo. They provide a distinctive instrumental colouring not found elsewhere in the Oratorio. The text almost throughout the Fourth Part is a reflection and a meditation on the naming of Jesus. Following the chorus a simple tenor recitative (Evangelist) leads to a subtly constructed accompanied bass recitative. This is interrupted by an eight-bar passage in which the sopranos sing part of a verse of Johann Rist’s hymn ‘Jesu, du mein liebstes Leben’ to a melody, probably of Bach’s own composition, while the bass contributes to a duet texture. The verse of Rist’s hymn is resumed and completed in a similar manner after the intervening C major aria for soprano, echo soprano, oboe and basso continuo. This aria, in which the oboe echoes both itself and the voices, derives from the seventeenth-century practice of spiritual dialogue between God and the Soul. Both arias of Part Four are parodies of music from BWV213. The second aria is for tenor. This ‘da capo’ piece in D minor with its vigorous two-strand violin accompaniment provides a striking contrast with the ‘echo’ aria. The melody of the concluding chorale, like the previous one, may be of Bach’s own composition but here it is set within a colourful orchestral framework provided by the full instrumentarium. Bach’s instrumentation for Part Five of the Christmas Oratorio is on a more modest scale than in the other cantatas of the work. The opening ‘da capo’ chorus in A major is accompanied by two oboes d’amore, strings and continuo. Its intimate, dance-like character, playful rhythm and radiantly convivial key imbue the piece with instant and enduring appeal. Its text is one of thanksgiving while the remaining movements of Part Five are concerned with the Wise Men from the Orient, the Star in the East and the anxiety of King Herod. Following the chorus a simple recitative (Evangelist) leads to a Chorus of the Wise Men with two inserted passages of accompanied recitative for alto. A single chorale verse guides us to a bass aria in F sharp minor with oboe d’amore obbligato. Bach’s revision of this movement, originally for soprano and flute, from the secular Cantata BWV215 is extensive. Two simple recitatives for the Evangelist framing an accompanied recitative for alto with strings lead to a terzetto in B minor for soprano, alto and tenor with violin solo and continuo. The neatness of Bach’s autograph is perhaps an indication that the piece was a parody yet, as Alfred Dürr remarks, ‘it is in this very movement that the text is most effectively set’. A short recitative for alto accompanied by two oboes d’amore returns us to the key of A major in preparation for the closing chorale. This is set in simple four-part harmonization. The sixth and concluding part of Bach’s Oratorio was written for Epiphany and concludes the story of the Wise Men from the East, begun in Part Five. Apart from the Evangelist’s recitatives and the chorale ‘Ich steh an deiner Krippen hier’ it has been established that the music for Part Six was taken over from one of Bach’s lost church cantatas. For the opening chorus Bach assembled an imposing instrumental arsenal of three trumpets, drums, two oboes, two oboes d’amore, strings and continuo. Only the flutes, additionally required for the opening chorus of Part One, are absent. 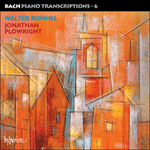 The movement is of great splendour and complexity of construction, beginning with an extended orchestral introduction, and with chorally fugal flanking sections and a middle section of freer canonic structure. Two ensuing sections of recitative, the first for tenor (Evangelist) and bass (Herod), the second for soprano with strings, lead to the first aria. This is in A major for soprano with oboe d’amore and strings. Its character is dance-like and its structure somewhat akin to a concerto movement. Two simple recitatives for the Evangelist frame a chorale verse. These are followed by a more extended tenor recitative with two oboes d’amore and continuo. These instruments further provide the accompaniment of the B minor tenor aria which ensues. Like the previous aria this, too, has the character and scheme of a concerto movement. A final recitative for a quartet of voices leads to the concluding movement. It is a generously laid out D major chorale in which the soprano strand declaims the hymn melody line by line with homophonic support from the alto, tenor and bass strands. All is suffused with a joyful orchestral concertante dominated by the first trumpet. L’Oratorio de Noël de Bach, qu’Alfred Dürr tenait pour un summum de la littérature musicale mondiale, fut composé à Leipzig, en 1734, pour la fête liturgique de Noël qui englobait à l’époque la Noël et les deux jours suivants, mais aussi la fête de la circoncision, le dimanche après le Nouvel an et l’Épiphanie, débordant ainsi sur l’année 1735. Même si Bach l’exécuta en six parties distinctes, cet oratorio forme un tout unifié, d’autant que, de manière sûrement intentionnelle, la même mélodie sert pour le premier choral de la Partie I et pour le choral intégré dans le numéro conclusif de la sixième et dernière partie. Ces six parties ont beau affecter la forme d’une cantate d’église telle qu’on en entendait alors à Leipzig—c’est-à-dire avec récitatifs, arias, chœurs et chorals—, elles s’en distinguent fondamentalement. Contrairement à la cantate, l’oratorio recourait notamment à un narrateur chargé de relater une suite liée d’événements. Un récit pouvait ainsi être présenté selon une progression qu’une cantate n’a pas besoin de suivre—et ne suit généralement pas. Bach lui-même qualifia d’«oratorio» cette œuvre où l’Évangéliste raconte l’histoire dans un récit biblique, tandis que les arias, les duos et les trios (solistes), les chœurs (chœur) et les chorals (pour les fidèles joignant leurs voix) réfléchissent aux événements qui surviennent. Le texte est probablement de Christian Friedrich Henrici (plus connu sous le pseudonyme de Picander), qui collabora souvent avec Bach, à Leipzig, même si un doute subsiste, ce texte ne figurant pas dans sa poésie complète. Les six sections relatent dans l’ordre l’avènement du Christ, la Nativité, la visite des bergers, l’adoration, la circoncision et, enfin, la visite des Rois mages, la perfidie d’Hérode et la fuite en Égypte. Le texte—celui des chorals excepté—se fonde sur la bible luthérienne complétant et illustrant les évangiles du jour, ceux de saint Luc et de saint Matthieu; Bach a au moins pu jouer un rôle en sélectionnant les passages à mettre en musique. Sur la partition de Bach qui nous est parvenue—non signée, toutefois—, l’année 1734 apparaît à la fin de cinq des six sections. Un texte imprimé nous a également été conservé, qui nous en apprend davantage sur l’interprétation de l’œuvre: «Oratorio joué pendant Noël dans les deux principales églises de Leipzig.» La Section I pouvait s’entendre «tôt le matin à Saint-Nicolas» et «l’après-midi à Saint-Thomas»; le lendemain, c’était l’inverse et ainsi de suite. L’un des procédés baroques les plus ardus, peut-être, que nous ayons à comprendre est l’apparente aisance avec laquelle les compositeurs pouvaient faire passer leur musique d’un contexte profane à un cadre liturgique ou quasi liturgique. Dans la musique, ce procédé est appelé «parodie» et Bach, comme Picander, en était un maître consommé. Les deux compositions profanes auxquelles Bach emprunta le plus pour son Oratorio de Noël sont deux cantates écrites l’année précédente (1733): Tönet, ihr Pauken! (BWV214) et Lasst uns sorgen, lasst uns wachen (BWV213), dite parfois Herkules auf dem Scheidewege («Hercule à la croisée des chemins»). Les ajustements apportés entre les deux moutures vont bien au-delà de simples modifications de livret et incluent des changements de tonalité, de registre vocal et d’instrumentation. Vu la justesse de la seconde mouture, on ne peut exclure que Bach, au moment d’entamer ses premières versions, ait pensé à une ultime destination sacrée pour cette musique. Mais si, dans sa vie agitée, la volonté de ménager ses efforts a très certainement influencé ses méthodes de travail, le fait est que, dans ses parodies, il manifeste une profonde intelligence des textes. Certains commentateurs se sont montrés peu enclins à considérer avec le même enthousiasme ses parodies et ses versions originales; mais peut-être serait-il plus juste de supposer que, dans son esprit, la musique avait une pertinence universelle et que, malgré d’immenses divergences, les sources et les contextes avaient un fond commun. Le chœur d’ouverture et les deux arias de la Partie I de l’Oratorio de Noël parodient une musique issue des cantates profanes BWV214 et BWV213. Le chœur «da capo» en ré majeur est somptueusement instrumenté pour trois trompettes, timbales, deux flûtes, deux hautbois, cordes et continuo. Viennent ensuite trois numéros sur l’Avent. Au récitatif simple de l’Évangéliste succède un récitatif contemplatif pour alto avec deux hautbois d’amour et continuo. La première aria en la mineur, également pour alto, est avec un accompagnement de hautbois d’amour et de violon à l’unisson plus continuo. Suit une strophe de choral dont la mélodie «Herzlich tut mich verlangen» est la même que celle utilisée pour le chœur conclusif de la dernière et sixième partie de cet Oratorio. Dans le numéro suivant, l’Évangéliste expose le récit de Noël dans un récitatif simple, débouchant sur un mouvement méditatif en sol majeur, où la mélodie du choral—«Gelobet seist du, Jesu Christ», exécutée par les sopranos du chœur et traitée lyriquement comme un arioso, avec deux hautbois d’amour et continuo—alterne avec des passages de récitatif chantés par la basse. La déclamatoire aria «da capo» en ré majeur est pour basse avec trompette, flûte doublant les premiers violons, cordes et continuo. Le choral conclusif reprend la mélodie de «Vom Himmel hoch, da komm ich her», qu’accompagnent dans la splendeur trois trompettes et timbales et, pour renforcer les groupes vocaux, des flûtes, des hautbois et des cordes. La Partie II de l’Oratorio de Noël, jouée le deuxième jour de la fête de Noël, concerne l’annonciation aux bergers de la naissance du Christ. Elle s’ouvre sur une Sinfonia en sol majeur (dont le mètre à 12/8 souligne le cadre pastoral de la cantate) et est écrite pour deux flûtes, deux hautbois d’amour, deux oboe da caccia, cordes et continuo. De manière convaincante, Albert Schweitzer y vit une sérénade donnée par des chœurs angéliques antiphonés (flûtes et cordes) et des bergers (hautbois). La forme tripartite du mouvement, où les regroupements instrumentaux demeurent plus ou moins constants, comprend une exposition, un développement et une réexposition variée. Un court récitatif, où l’Évangéliste plante le décor, mène à un choral en sol majeur. C’est une strophe de l’hymne de Johann Rist, «Ermuntre dich, mein schwacher Geist» (1641), avec la mélodie qui lui est associée. Dans les deux récitatifs suivants, un soprano, accompagné de cordes, chante les paroles de l’ange, et une basse avec un chœur de hautbois à quatre parties évoque la promesse de Dieu à Abraham. L’aria de ténor en mi mineur avec flûte obligée et basse continue est la parodie d’une aria d’alto en si mineur figurant dans un «dramma per musica» (BWV214) composé par Bach en 1733 pour l’anniversaire de Maria Josepha, reine de Pologne et Électrice de Saxe. Dans un récitatif simple, l’Évangéliste déclame les paroles de l’ange menant au deuxième mouvement de choral, une strophe de l’hymne de Paul Gerhardt «Schaut, schaut, was ist für Wunder» (1667) mise en musique sur la mélodie de «Vom Himmel hoch, da komm ich her». Les quatre voix sont accompagnées d’un soutien instrumental complet «colla parte». Un récitatif de basse, avec une texture de hautbois à quatre parties, prépare, au niveau textuel et instrumental, à la célèbre aria d’alto «Schlafe, mein Liebster». Cette vaste berceuse «da capo» en ut majeur est accompagnée d’un chœur de hautbois à quatre parties et, comme l’aria précédente, parodie une pièce d’un «dramma per musica»—ici, une aria en si bémol majeur pour soprano et cordes tirée de BWV213, célébrant l’anniversaire du prince héritier Friedrich Christian de Saxe, en 1733. À un récitatif simple de l’Évangéliste succède un chœur d’envergure en sol majeur, avec participation de tous les instruments. Comme l’a souligné Alfred Dürr, la forme de cet important mouvement dérive du motet, où chacune des trois sections repose sur un principe musical différent: basse contrainte, pédale et canon. Le récitatif simple de la basse mène au mouvement conclusif. C’est une strophe d’une autre hymne de Paul Gerhardt, «Wir singen dir, Immanuel» (1656), de nouveau sur la mélodie de «Vom Himmel hoch, da komm ich her». Ici, toutefois, Bach atteint à une agréable symétrie via une reprise d’un matériau tiré de la Sinfonia inaugurale, pour ponctuer chaque vers de la strophe, et un retour au mètre à 12/8. La Partie III, pour le troisième jour de la fête de Noël, clôt la première partie de l’Oratorio. Partant du point d’ancrage qu’est sol majeur, dans la Partie II, elle renoue avec l’instrumentation et le ton de ré majeur de la Partie I pour créer une cohésion tripartite distincte. Le chœur inaugural, parodie du numéro conclusif de BWV214, s’adresse à trois trompettes, timbales, deux flûtes, deux hautbois, deux hautbois d’amour, cordes et continuo. Ses proportions sont relativement modestes et sa structure est non pas «da capo» mais bipartite. Les trois sections suivantes sont liées. Un récitatif simple de ténor (Évangéliste) mène à un bref chœur de turba (bergers) avec deux flûtes et deux hautbois d’amour doublant respectivement les lignes de soprano et d’alto, un alto doublant la ligne de ténor, et basse continue. S’ensuit un récitatif de basse accompagné de deux flûtes. Un premier choral (sur un total de trois, dans une texture à quatre parties) mène à une aria «da capo» (duo) en la majeur pour soprano et basse, avec deux hautbois d’amour et continuo. Cette pièce parodie un duo pour alto et ténor issu de BWV213. Sa tonalité aux couleurs brillantes, ses chaleureuses textures de bois et son caractère dansant lui confèrent un charme irrésistible. Un récitatif de ténor simple (Évangéliste) ouvre la voie à la seconde aria de la Partie III, une pièce en si mineur qui s’adresse à une voix d’alto accompagnée d’un complexe solo de violon avec continuo. Vu le nombre de corrections, Bach s’est donné beaucoup de peine pour cette aria, probablement la seule à avoir été nouvellement composée pour l’Oratorio. Un court récitatif d’alto, avec flûtes et continuo, précède le deuxième choral de la Partie III. Un récitatif simple (Évangéliste) fournit un bref lien entre les deuxième et troisième chorals, avant qu’une reprise du chœur inaugural, avec une instrumentation inchangée, vienne conclure cette partie. La Partie IV de l’Oratorio de Noël fut écrite pour le jour de l’An et de la fête de la circoncision du Christ. Cette cantate est entourée de mouvements choraux en fa majeur. Le chœur d’ouverture «da capo», qui parodie le chœur liminaire de BWV213, met en scène deux cors, deux hautbois, cordes et continuo, pour une couleur instrumentale unique dans cet oratorio. Presque tout le texte de la Partie IV est une réflexion et une méditation sur l’attribution du nom de Jésus. Passé le chœur, un récitatif simple de ténor (Évangéliste) mène à un récitatif de basse accompagné, subtilement construit. Il est interrompu par un passage de huit mesures où les sopranos chantent une partie d’une strophe de l’hymne de Johann Rist, «Jesu, du mein liebstes Leben», sur une mélodie probablement bachienne, tandis que la basse contribue à une texture de duo. La strophe de l’hymne de Rist est reprise et terminée de la même façon, après la survenue, entre-temps, de l’aria en ut majeur pour soprano, écho de soprano, hautbois et basse continue. Cette aria, où le hautbois fait écho à lui-même comme aux voix, dérive de la pratique dix-septiémiste du dialogue spirituel entre Dieu et l’Âme. Les deux arias de la Partie IV parodient la musique de BWV213. Avec son vigoureux accompagnement de deux violons, la seconde aria, une pièce «da capo» en ré mineur pour ténor, offre un saisissant contraste avec l’aria «en écho». Comme précédemment, la mélodie du choral conclusif est peut-être de Bach mais ici, elle est insérée dans un cadre orchestral fourni par l’instrumentarium au complet. La Partie V se démarque des autres cantates de l’Oratorio de Noël par son instrumentation plus modeste. Le chœur inaugural «da capo» est en la majeur, avec accompagnement de deux hautbois d’amour, cordes et continuo. Son caractère intime, dansant, son rythme enjoué et sa tonalité d’une éclatante convivialité lui insufflent un attrait immédiat et durable. Son texte est celui d’une action de grâce tandis que les autres mouvements de la Partie V s’intéressent aux Rois mages d’Orient, à l’Étoile en Orient et aux craintes du roi Hérode. Après le chœur, un récitatif simple (Évangéliste) mène à un chœur des Rois mages, avec insertion de deux passages de récitatif accompagné pour alto. Une strophe de choral nous dirige vers une aria de basse en fa dièse mineur avec hautbois d’amour obligé. Bach révisa énormément ce mouvement tiré de la Cantate profane BWV215 et originellement conçu pour soprano et flûte. Deux récitatifs simples (Évangéliste), encadrant un récitatif accompagné pour alto et cordes, mènent à un terzetto en si mineur pour soprano, alto et ténor, avec violon solo et continuo. La netteté de l’autographe bachien indique qu’il s’agit peut-être d’une parodie même si, fait remarquer Alfred Dürr, «c’est dans ce mouvement-là que le texte est mis en musique avec le plus d’efficacité». Un court récitatif pour alto accompagné de deux hautbois d’amour nous ramène à la majeur, en vue du choral conclusif doté d’une harmonisation simple, à quatre parties. La sixième et dernière partie de l’Oratorio de Bach, écrite pour l’Épiphanie, termine le récit des Rois mages d’Orient entamé dans la Partie V. Hormis les récitatifs de l’Évangéliste et le choral «Ich steh an deiner Krippen hier», il est établi que le musique de la Partie VI provient de l’une des cantates religieuses perdues de Bach. Pour le chœur inaugural, Bach réunit un imposant arsenal instrumental: trois trompettes, timbales, deux hautbois, deux hautbois d’amour, cordes et continuo. Seules manquent les flûtes, requises en supplément pour le chœur d’entrée de la Partie I. Ce mouvement fort splendide, de construction complexe, part sur une vaste introduction orchestrale; flanqué de sections choralement fuguées, il présente une section centrale à la structure canonique plus libre. Deux sections de récitatif—la première pour ténor (Évangéliste) et basse (Hérode), la seconde pour soprano et cordes—amènent ensuite la première aria, en la majeur, pour soprano avec hautbois d’amour et cordes. Elle est d’un caractère dansant et sa structure s’apparente quelque peu à un mouvement de concerto. Deux récitatifs simples (Évangéliste) encadrent une strophe de choral. Suit un récitatif de ténor, plus étendu, avec deux hautbois d’amour et continuo. Ces instruments fourniront l’accompagnement de l’aria de ténor suivante en si mineur qui, comme la précédente, affiche le caractère et le plan d’un mouvement de concerto. Un dernier récitatif, adressé à un quatuor vocal, conduit au mouvement conclusif: un choral en ré majeur somptueusement conçu, où la ligne des sopranos déclame la mélodie hymnique vers par vers, avec un soutien homophonique des parties de basse, d’alto et de ténor. Tout baigne dans un allègre style concertant orchestral, dominé par la première trompette. Das Weihnachtsoratorium von Bach, welches Alfred Dürr als eines der Spitzenwerke der Weltliteratur bezeichnete, entstand 1734 in Leipzig, und zwar nicht nur anlässlich des 1., 2. und 3. Weihnachtstags (25., 26., und 27. Dezember), sondern auch zum Fest der Beschneidung Christi, zum Ersten Sonntag nach Neujahr und zum Epiphaniasfest. Damit dehnte sich das Werk bis in das neue Jahr, 1735, aus. Obwohl Bach das Weihnachtsoratorium in sechs einzelnen Teilen aufführte, schließt es sich zu einem einheitlichen, vollständigen Werk zusammen. Diese Einheit wird zudem dadurch verstärkt, dass Bach (sicherlich bewusst) die Melodie des ersten Chorals in Teil 1 auch in der Schlussnummer des sechsten und letzten Teils einsetzte. Obwohl die sechs Teile des Oratoriums jeweils in der Form einer typischen Leipziger Kirchenkantate jener Zeit angelegt sind—was bedeutet, das sich darin Rezitative, Arien, Chorsätze und Choräle finden—, weisen sie doch wesentliche Unterschiede auf. Eines der Merkmale, die das Oratorium von der Kantate unterscheiden, ist der Einsatz einer Erzählerfigur, die das Geschehen schildert. Auf diese Weise konnte eine Geschichte fortschreitend dargestellt werden, wie es in Kantaten für gewöhnlich nicht geschieht und auch nicht nötig ist. Bach verwendete selbst das Wort „Oratorium“ in Verbindung mit diesem Werk, in dem der Evangelist die biblische Geschichte erzählt, während in den Arien, Duetten und Terzetten für die Solisten, Chorsätzen für den Chor und den Chorälen, in denen die Gemeinde mitsingen konnte, die sich zutragenden Ereignisse reflektiert werden. Der Text stammt wahrscheinlich von Christian Friedrich Henrici, der besser unter seinem Pseudonym Picander bekannt ist. Picander arbeitete in Leipzig oft mit Bach zusammen, in diesem Falle ist jedoch seine Autorschaft nicht unumstritten, da der Text in seinen gesammelten Gedichten nicht enthalten ist. Die sechs Teile erzählen nacheinander von der Menschwerdung und Geburt Christi, der Ankündigung an die Hirten, der Anbetung, der Beschneidung Christi, dem Besuch der Weisen aus dem Morgenland und schließlich dem Verrat des Herodes und der Flucht nach Ägypten. Mit Ausnahme der Choräle liegt dem Text die Lutherbibel zugrunde und die für die jeweiligen Tage ausgewählten Evangelien werden sowohl ergänzt als auch illustriert. Für das Werk verwendet wurden die Evangelien nach Lukas und Matthäus und es ist durchaus möglich, dass Bach selbst die Textstellen mit auswählte, die er dann vertonte. Bachs eigene Partitur des Weihnachtsoratoriums ist uns heute überliefert und obwohl sie seine Unterschrift nicht enthält, sind fünf der sechs Teile am Ende jeweils mit dem Datum 1734 versehen. Ein gedrucktes Textheft der Uraufführung ist ebenso überliefert, in dem sich weitere Hinweise auf die Aufführung des Werks finden: „Oratorium, Welches die heilige Weyhnacht über In beyden Haupt-Kirchen zu Leipzig musiciret wurde.“ Teil 1 war „Frühe zu St. Nicolai und Nachmittage zu St. Thomæ“ zu hören; am folgenden Tag geschah es umgekehrt, und so weiter. Eine Vorgehensweise des Barock, die uns heutzutage vielleicht besonders schwer verständlich erscheint, ist die offensichtliche Unbefangenheit, mit der die Komponisten ihre Musik, die zunächst für einen weltlichen Anlass entstanden war, einem liturgischen oder quasi-liturgischen Kontext anpassen konnten. In der Musik wird dies als „Parodieverfahren“ bezeichnet; sowohl Bach als auch Picander waren überlegene Meister dieser Technik. Die beiden weltlichen Werke, die Bach im Weihnachtsoratorium vorwiegend verwertete, sind die Kantaten Tönet, ihr Pauken! (BWV214) und Lasst uns sorgen, lasst uns wachen (BWV213), die zuweilen auch unter dem Titel Herkules auf dem Scheidewege bekannt ist. Beide Werke waren im vorangegangenen Jahr (1733) entstanden. Umgestaltungen, die zwischen der ersten und der zweiten Version der Musik vorgenommen wurden, gehen über reine Anpassungen an das Libretto deutlich hinaus; verändert sind etwa Tonarten, Stimmregister und Instrumentierung. Das Formgefühl der zweiten Vertonung ist aber derart, dass man die Idee nicht verwerfen sollte, dass Bach für diese Musik möglicherweise von Anfang an ein geistliches Ziel vor Augen hatte, selbst als er die jeweils ersten Versionen komponierte. Zwar beeinflussten seine bewegten Lebensverhältnisse sicherlich seine Arbeitsmethoden, jedoch zeigt sich in seinen Parodien eine tiefe Durchdringung der Texte. Einige Forscher schätzen die Parodien sogar höher ein als die Originalversionen; vielleicht ist es sinnvoller anzunehmen, dass Bachs Überzeugung zufolge die Musik universell eingesetzt werden konnte und dass Quellen und Zusammenhänge trotz deutlicher Unterschiede doch einen gemeinsamen Mittelpunkt hatten. Der Eingangschor und die beiden Arien des ersten Teils des Weihnachtsoratoriums sind Parodien von Musik aus den weltlichen Kantaten BWV214 und BWV213. Der Da-capo-Chor in D-Dur ist mit drei Trompeten, Pauken, zwei Flöten, zwei Oboen, Streichern und Basso continuo großzügig besetzt. Die folgenden drei Nummern befassen sich mit der Ankunft Christi. Auf das schlichte Rezitativ des Evangelisten folgt ein kontemplatives Accompagnato für die Solo-Altstimme mit zwei Oboen d’amore und Basso continuo, woran sich die erste Arie, „Bereite dich, Zion“, ebenfalls für Alt, in a-Moll und mit Begleitung durch Oboe d’amore und Violine im Unisono sowie Continuo, anschließt. Darauf erklingt eine einzelne Choralstrophe mit Flöten, Oboen und Streichern. Die Melodie, „Herzlich tut mich verlangen“, ist dieselbe, die Bach im Schlusschor des sechsten und letzten Teils des Oratoriums verarbeitete. In der folgenden Nummer führt der Evangelist die Weihnachtsgeschichte in einem schlichten Rezitativ ein, welches zu einem meditativen Satz in G-Dur leitet, wo die Choralmelodie—„Gelobet seist du, Jesu Christ“, gesungen von Sopranstimmen und lyrisch als Arioso gehalten, mit zwei Oboen d’amore und Basso continuo—mit Rezitativ-Passagen des Basses alterniert. Die deklamatorische Da-capo-Arie in D-Dur wird vom Bass übernommen, wozu sich Trompete und Flöte gesellen, die die ersten Violinen verdoppelt, sowie Streicher und Basso continuo. Der Schlusschoral ist eine Vertonung der Melodie „Vom Himmel hoch, da komm ich her“, die prachtvoll von drei Trompeten und Pauken begleitet wird; die Flöten, Oboen und Streicher verstärken die Vokallinien. Der zweite Teil des Weihnachtsoratoriums entstand für den zweiten Weihnachtstag und handelt von der Ankündigung der Geburt Christi an die Hirten. Er beginnt mit einer Sinfonia in G-Dur, deren 12/8-Takt den pastoralen Kontext der Kantate unterstreicht. Sie ist für zwei Flöten, zwei Oboen d’amore, zwei Oboen da caccia, Streicher und Continuo gesetzt. Albert Schweitzer hat die plausible These aufgestellt, dass es sich hierbei um eine Serenade antiphonischer Chöre von Engeln (Flöten und Streicher) und Hirten (Oboen) handeln könnte. Die dreiteilige Anlage des Satzes, in dem die instrumentalen Gruppen mehr oder minder konstant bleiben, besteht aus einer Exposition, Durchführung und variierten Reprise. Ein kurzes Rezitativ, in dem der Evangelist den Rahmen absteckt, leitet zu einem Choral in G-Dur hinüber. Es handelt sich dabei um eine Strophe des Kirchenliedes „Ermuntre dich, mein schwacher Geist“ (1641) von Johann Rist mit der entsprechenden Melodie. In den folgenden beiden Rezitativen singt eine Sopranstimme die Worte des Engels und wird dabei von den Streichern begleitet, während ein Bass mit vierstimmiger Oboenbegleitung auf Gottes Verheißung zu Abraham verweist. Die e-Moll-Arie für Tenor mit obligater Flöte und Basso continuo ist eine Parodie der Alt-Arie in h-Moll, die Bach für ein „Dramma per musica“ (BWV214) anlässlich des Geburtstags von Maria Josepha, Königin von Polen und Kurfürstin von Sachsen, im Jahre 1733 komponiert hatte. In einem schlichten Rezitativ deklamiert der Evangelist die Worte des Engels, die in den zweiten Choralsatz leiten. Dabei handelt es sich um eine Strophe von Paul Gerhardts Lied „Schaut, schaut, was ist für Wunder“ (1667), die auf die Melodie von „Vom Himmel hoch“ gesetzt ist. Die vier Vokalstränge werden vom vollständigen Instrumentalapparat colla parte begleitet. Ein Bass-Rezitativ mit vierstimmiger Oboenbegleitung ist eine sowohl textuelle als auch instrumentale Vorbereitung auf die berühmte Alt-Arie „Schlafe, mein Liebster“. Dieses ausgedehnte Da-capo-Schlummerlied in C-Dur wird ebenso von einem vierstimmigen Oboenchor begleitet und ist, wie die vorangehende Arie, eine Parodie einer Arie aus einem „Dramma per musica“ in B-Dur für Sopran und Streicher aus BWV213, eine Kantate zum Geburtstag des Kurprinzen Friedrich Christian von Sachsen 1733. Das folgende schlichte Rezitativ des Evangelisten leitet den großangelegten G-Dur-Chor ein, an dem das volle Orchester teilnimmt. Alfred Dürr hat darauf hingewiesen, dass die Form dieses wichtigen Satzes von der Motette abgeleitet ist, wo allen drei Teilen jeweils ein unterschiedliches musikalisches Prinzip zugrunde liegt: Basso ostinato, Orgelpunkt und Kanon. Das schlichte Bass-Rezitativ leitet in den Schlusssatz hinein. Dabei handelt es sich um eine Strophe eines weiteren Lieds von Paul Gerhardt, „Wir singen dir, Immanuel“ (1656), die wiederum zu der Melodie „Vom Himmel hoch“ erklingt. Hier konstruiert Bach eine schöne symmetrische Anlage, indem er musikalisches Material aus der Eingangssinfonie verwendet, mit den Strophenzeilen jeweils alterniert und zum 12/8-Metrum zurückkehrt. Mit Teil 3 für den dritten Weihnachtstag wird die erste Hälfte des Oratoriums abgerundet. Nach der Anker-Tonart G-Dur im zweiten Teil kehrt Teil 3 zu der Besetzung des ersten Teils sowie zu D-Dur zurück, woraus sich eine deutlich dreiteilige Struktur ergibt. Der Eingangschor ist eine Parodie des Schlusssatzes von BWV214 und ist für drei Trompeten, Pauken, zwei Flöten, zwei Oboen, zwei Oboen d’amore, Streicher und Continuo gesetzt. Die Proportionen sind relativ bescheiden gehalten und die Struktur zweiteilig und nicht in Da-capo-Form angelegt. Die drei folgenden Abschnitte sind miteinander verkettet. Ein schlichtes Tenor-Rezitativ (Evangelist) leitet in einen kurzen Turba-Chor für die Hirten hinüber, in dem zwei Flöten und zwei Oboen d’amore jeweils die Sopran- und Altstimmen verdoppeln, die Bratschen die Tenorstimmen und darunter ein Basso continuo liegt. Dies wiederum geht in ein Bass-Rezitativ über, das von zwei Flöten begleitet wird. Der erste von drei vierstimmigen Chorälen geht einer Da-capo-Arie in A-Dur für Sopran und Bass voran, die von zwei Oboen d’amore und Continuo begleitet werden. Dieses Stück ist eine Parodie eines Duetts für Alt und Tenor aus BWV213. Die helle Tonart, der warme Holzbläserklang und der tänzerische Charakter verleihen dem Stück einen unwiderstehlichen Charme. Ein schlichtes Tenor-Rezitativ (Evangelist) bereitet auf die zweite Arie von Teil 3 vor. Diese steht in h-Moll und ist für Altstimme mit aufwändigem Soloviolinpart und Continuo gesetzt. Wahrscheinlich handelt es sich dabei um die einzige neukomponierte Arie des Oratoriums, um die sich, den vielen Korrekturen nach zu urteilen, Bach sehr bemüht hatte. Ein kurzes Alt-Rezitativ mit Flöten und Continuo geht dem zweiten Choral von Teil 3 voran, worauf ein schlichtes Rezitativ des Evangelisten die Überleitung zum dritten Choral liefert. Den Abschluss des dritten Teils bildet eine identisch angelegte Reprise des Eingangschors. Teil 4 des Weihnachtsoratoriums entstand für den Neujahrstag und das Fest der Beschneidung Christi. Diese Kantate wird von zwei Chorsätzen in F-Dur eingerahmt. Der Eingangschor steht in Da-capo-Form und ist eine Parodie des Anfangschors von BWV213 mit zwei Hörnern, zwei Oboen, Streichern und Continuo. Diese sorgen für eine charakteristische instrumentale Klangfarbe, die sich sonst in dem Oratorium nirgends findet. Der Text des vierten Teils ist fast durchgängig eine Betrachtung und Meditation über die Namensgebung Jesu. Auf den Chor folgt ein schlichtes Tenor-Rezitativ (Evangelist), das zu einem kunstvoll konstruierten Accompagnato-Rezitativ für die Bassstimme hinleitet. Dies wird von einer achttaktigen Passage unterbrochen, in der die Sopranstimmen einen Teil einer Strophe von Johann Rists Lied „Jesu, du mein liebstes Leben“ zu einer Melodie singen, die wahrscheinlich von Bach selbst stammt, während der Bass zu einer Duett-Struktur beiträgt. Die Strophe aus Rists Lied wird wiederaufgenommen und nach der dazwischen erklingenden C-Dur-Arie für Sopran, Echo-Sopran, Oboe und Basso continuo in ähnlicher Weise zu Ende geführt. In dieser Arie, wo die Oboe sowohl sich selbst als auch die beiden Singstimmen echohaft wiederholt, ist von der aus dem 17. Jahrhundert stammenden Praxis abgeleitet, bei der ein spiritueller Dialog zwischen Gott und der Seele stattfindet. Beide Arien im vierten Teil sind Parodien von Musik aus BWV213. Die zweite Arie ist für Tenorstimme komponiert. Dieses Da-capo-Stück in d-Moll mit seiner energischen zweistimmigen Violinbegleitung bildet einen starken Kontrast zu der Echo-Arie. Die Melodie des Schlusschorals mag, ebenso wie der vorherige, Bachs eigene Komposition sein, jedoch erklingt dieser innerhalb eines farbenreichen orchestralen Rahmens, der vom gesamten Instrumentarium erzeugt wird. Bachs Instrumentierung des fünften Teils des Weihnachtsoratoriums fällt bescheidener aus als in den anderen Kantaten des Werks. Der Da-capo-Chor in A-Dur zu Beginn wird von zwei Oboen d’amore, Streichern und Continuo begleitet. Der intime, tänzerische Charakter, spielerische Rhythmus und die strahlende, fröhliche Tonart verleihen dem Stück einen unmittelbaren und beständigen Reiz. Der Text ist eine Danksagung, während die anderen Sätze in Teil 5 sich mit den drei Weisen aus dem Morgenland, dem Stern im Osten und den Befürchtungen des Herodes auseinandersetzen. Nach dem Chor leitet ein schlichtes Rezitativ des Evangelisten zum Chor der Weisen hinüber, in den zwei Passagen mit einem Alt-Accompagnato eingefügt sind. Eine einzelne Choralstrophe führt zu einer Bass-Arie in fis-Moll mit einer obligaten Oboe d’amore. Bachs Überarbeitung dieses Satzes, der ursprünglich für Sopran und Flöte komponiert war und aus der weltlichen Kantate BWV215 stammt, ist umfangreich. Zwei schlichte Rezitative des Evangelisten rahmen ein Alt-Accompagnato mit Streichern ein, worauf ein Terzett in h-Moll für Sopran, Alt und Tenor mit Solovioline und Continuo folgt. Das autographe Manuskript ist derart sauber geschrieben, dass man daraus schlussfolgern könnte, dass es sich hierbei um eine Parodie handelt, doch weist Alfred Dürr darauf hin, dass „gerade in diesem Satz der Text höchst wirkungsvoll vertont“ sei. Ein kurzes Alt-Rezitativ mit Begleitung zweier Oboen d’amore führt nach A-Dur zurück und bereitet so auf den Schlusschoral vor, der in schlichter vierstimmiger Form ausgesetzt ist. Der sechste und letzte Teil des Bach’schen Oratoriums entstand für das Epiphaniasfest und schließt die Geschichte der drei Weisen aus dem Morgenland ab, die in Teil 5 begonnen wurde. Es konnte nachgewiesen werden, dass mit Ausnahme der Rezitative des Evangelisten und des Chorals „Ich steh an deiner Krippen hier“ die Musik des sechsten Teils aus einer heute verschollenen Kirchenkantate Bachs stammt. Für den Eingangschor stellte Bach ein beeindruckendes instrumentales Arsenal zusammen, das aus drei Trompeten, Pauken, zwei Oboen, zwei Oboen d’amore, Streichern und Continuo besteht. Nur die Flöten, die im Eingangschor des ersten Teils noch hinzutreten, fehlen hier. Der Satz ist prächtig angelegt und von einer komplexen Konstruktion—er beginnt mit einer ausgedehnten orchestralen Einleitung, hat zwei fugale Abschnitte mit Chor und einen Mittelteil mit einer freieren kanonischen Struktur. Die beiden folgenden Rezitative, das erste für Tenor (Evangelist) und Bass (Herodes) und das zweite für Sopran mit Streichern, leiten in die erste Arie hinüber. Diese ist für Sopran mit Oboe d’amore und Streichern angelegt und steht in A-Dur. Der Charakter dieser Arie ist tänzerisch und die Struktur ähnelt in gewisser Weise derjenigen eines Satzes aus einem Solokonzert. Zwei schlichte Rezitative des Evangelisten rahmen eine Choralstrophe ein. Darauf folgt ein längeres Tenor-Rezitativ mit zwei Oboen d’amore und Continuo. Diese Instrumente stellen zudem die Begleitung der Tenor-Arie in h-Moll bereit, die sich anschließt. Ebenso wie die vorangehende Arie besitzt auch diese den Charakter und die Anlage eines Solokonzert-Satzes. Ein letztes Rezitativ für das Solistenquartett leitet in den abschließenden Satz hinüber. Es ist dies ein großzügig angelegter D-Dur-Choral, in dem die Sopranstimme die Melodie deklamiert und dabei homophon von Alt, Tenor und Bass begleitet wird. Die gesamte Struktur ist mit einem fröhlichen konzertanten Orchestersatz durchwirkt, der von der ersten Trompete beherrscht wird. praise what the Most High this day has done! die Zeit, daß sie gebären sollte. that she should be delivered. Dein Wohl steigt hoch empor. will at last be born. its rays already burst forth. the fairest and dearest to behold with you soon! hasten, to love your bridegroom with the greatest longing. Part 1 No 5. Chorale: How shall I fitly meet thee? Und wie begegn’ ich dir? may be manifest and known to me. hatten sonst keinen Raum in der Herberge. Die unser Heiland für uns hegt? And like unto his beloved angels. that our Saviour cherishes for us? how he is moved by man’s distress? That he will himself be born as man. do you esteem earthly splendour! must sleep in a hard crib. that I may never forget thee! and bring peace at last. euch große Freude, die allem Volke widerfahren wird. Christus, der Herr, in der Stadt David. all this before from God. the act fulfilled which he promised then. Eilt, das holde Kind zu sehn. haste to see the lovely babe. go, and refresh heart and mind. Da ruhet itzt der Jungfrau’n Kind. there now rests the virgin’s child. wake thereafter so all may flourish. where we delight our hearts. Uns kann es, so wie euch, erfreun. that all succeeds so well today. for we can rejoice as well as you. when your Zion exalts you with psalms! because our welfare is assured. go, this is what you will find! and thank him in eternity. comforts us and makes us free. Mariam und Joseph, dazu das Kind in der Krippe liegen. aus, welches zu ihnen von diesem Kind gesaget war. alle diese Worte und bewegte sie in ihrem Herzen. and Joseph, and the babe lying in a manger. kept all these things, and pondered them in her heart. it has experienced at this blissful hour. I will depart with thee hence. there in the other life. and seen, as it was told unto them. in the city of David chosen of many. before the mercy-seat of the Most High. and Redeemer of the earth. dampens the foes’ rage and fury. er im Mutterleibe empfangen ward. he was conceived in the womb. my Jesus is my life. my Jesus restores heart and breast. on the bitter tree of the cross! Come, then, take me to you! longingly I look to you. What was that dread death struck into me of late? the fear of death, is inscribed within me. Shall I then fear death? No, your sweet word is there! shall be in my heart! when heart and bosom do burn for love of you. how shall I extol you? How shall I thank you? shepherd and king, light and sun! praise thee, my Lord Jesu? that my heart may so do zealously. and with gratitude extol your goodness. Jesus, let me never falter! Glory be sung unto you, oh God! Let praise and thanksgiving be prepared for you. for your blessing fills us so gloriously with joy. Part 5 No 03. Chorus with Recitative: Wo ist der neugeborne König der Jüden? und sind kommen, ihn anzubeten. here he dwells for my delight, and his. it came to pass for your salvation. when they already want to worship you. transforms the gloomy night to light. through the clear radiance of your beams. to me in all my doings! It shall prevent my soul embarking upon evil. er und mit ihm das ganze Jerusalem. he was troubled, and all Jerusalem with him. Part 5 No 07. Recitative: Warum wollt ihr erschrecken? Can the presence of my Jesu awake such fear in you? to restore the wellbeing of mankind! Part 5 No 09. Trio: Ach, wenn wird die Zeit erscheinen? Schweigt, er ist schon würklich hier. Jesu, ach, so komm zu mir! Oh, when will the time be ripe? Oh, when will the comfort of his people come? Be silent, he is surely already here. Oh Jesus, come, then, to me. than it will seem to be filled with light. look to your might and help. the talons of the fiend. dass ich auch komme und es anbete. inquired of them diligently what time the star appeared. that I may come and worship him also. Den du zu stürzen suchst, sehr wohl bekannt. yet remains in safe hands. whose downfall you seek to encompass. topples the might of impotent man. Here all power shall be derided! them, till it came and stood over where the young child was. that which thou hast given me. and may it please thee well! zogen durch einen anderen Weg wieder in ihr Land. their own country another way. Herr, hilf! so lass mich Hülfe sehn. neither will I suffer him to leave me. I will bequeath him heart and bosom. and will ever honour him. ‘Lord, help me!’ then let me behold thy help! Mein Schatz, mein Hort ist hier bei mir! what fear could you awake in me? My treasure, my refuge is beside me here! but see, my Saviour dwells here. What now of the terrors of hell? when we rest in Jesu’s hands? that which was against ye. the human race has its place.